Hospice care is considered to be the model for quality, compassionate care for people facing a terminal illness. Hospice care involves a team-oriented approach to medical care, pain management, symptom control and emotional and spiritual support expressly tailored to the resident needs and wishes. Support is provided to the resident’s loved ones as well. 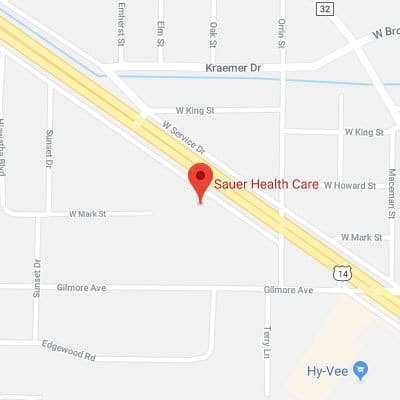 Sauer Health Care has a contract with 2 local hospice providers: Winona Area Hospice and St. Croix Hospice. The hospice team works hand in hand with Sauer’s team to provide care, compassion and comfort at the end of life. For more information about hospice services at Sauer, contact our social services Social Services department or your physician.